Of course, there’s always a catch. 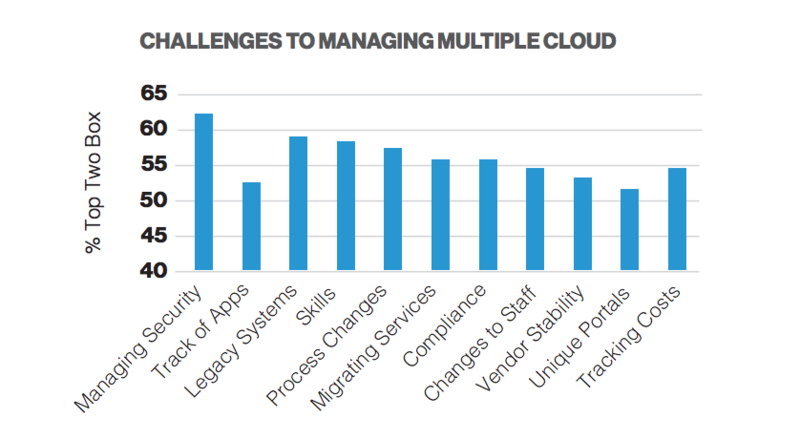 For multi-clouds, one of the big gotchas is complexity. A recent MIT Technology Review/VMware study (pdf) found that 57 percent of the senior IT managers surveyed report technical and skills challenges were “critical learnings” from their multi-cloud implementations. This was topped only by security (62 percent) and integrating legacy systems (59 percent). Mark Baker reports on the study on Computer Business Review. Sooner or later, your multi-cloud setup will reach what David Linthicum refers to as the “tipping point” at which “the number of services you use exceeds your ability to properly manage them.” In a TechTarget article, Linthicum writes that the exact tipping point varies based on your company’s size, the complexity of the services you use, security/governance matters, and your staff’s skill set. 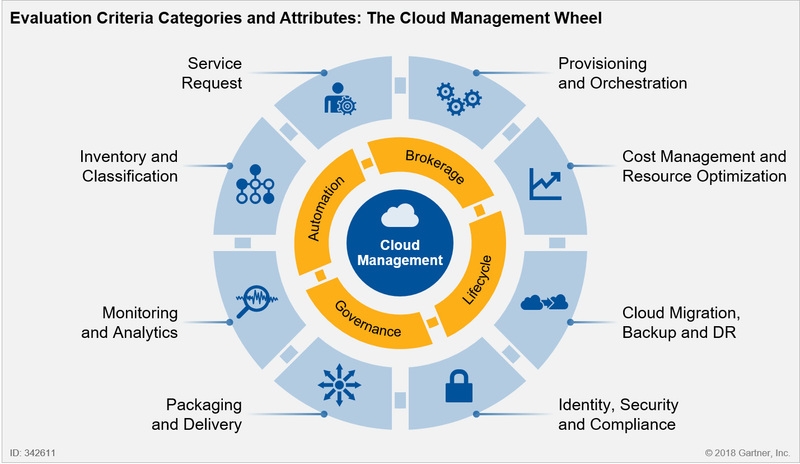 The smart folks over at Gartner have spent hundreds of hours talking to customers and vendors to come up with what is a pretty slick framework to think about the CMP space. In their “wheel” you can see the core categories of capability. There are tools that provide one of these capabilities across multiple cloud platforms. There are also tools that provide a range of these features within a narrow set of platforms. And then there are the unicorns… truly multi-function and multi-platform CMPs such as Morpheus. Public cloud security. While the security of the public cloud is considered robust, the transit of data from on-premises infrastructure to the public cloud needs to be carefully planned and implemented. Cost accounting. Multi-cloud commoditizes cloud resources by letting users choose the services that best meet their specific needs. To accomplish this, enterprise IT must transition from vendor-enforced workflows to a vendor-agnostic infrastructure.